For the x-mouse buttons, there is a problem with the C++ dll hook that I'm using from the Orbit Dock project. I have to recode that to fix the x-mouse button issue and sometimes the issue of not giving Circle Dock focus when it activates it. For the "normal" window behavior, yes, I have to do some polishing on it and the "Always on Bottom" modes. For an option to lock the dock contents, that can be added in a future release. As for the Circle Dock position, you can lock the position of the dock to a specific point by going to Settings -> Location and selecting the second option. Thanks for the great update! I've set up a second dock as my permadock and am loving it. Thanks for including that change in the update! All the improvements are great. i've found a bug though: when the opacity of the center button is set as a low value, but then you click the center button to bring up the start menu, the center button loses all transparency on-screen. In the settings the value does not change. If you fiddle with the opacity slider the center button corrects itself again. However, this is kind of annoying since I have the opacity set to 1 on one of my docks so that I don't see the center button but can still bring up the start menu. Also, I was wondering if you still had any plans on allowing an elliptical form for the dock (say, in Alpha 9). It would be cool to have the permadock a bit elongated so it does not penetrate towards the center of the window too much. Bug noted, I'll make the transparency a minimum of 1 for the change in transparency when it is not 0. As for the elliptical form, I need to get an equation for the points around the circumference of an ellipse given it's height and width and using a rotation value as the changing variable in the equation. If I can get this, I can easily program it in since it will just be a few lines of code. Can someone mathematically talented help? HO !!! I nearly forgot : tried to install visual C# 2008 sp1 on vista 64 home premium (to read source)(which installed a lot of things like .net framework 3.5 sp1), and it messed up CD quite a lot : when loading CD the mouse was becoming unresponsive (but not the keyboard) and it displayed strange dark frames ... uninstalled vc# (and additionnal stuff) and everithing was back to normal when loading CD (no mouse freeze)... don't know what happens but it's not really cool. any idea ? I think it may be possible to put the lock option on one of the right-click menus. I'll think about it and see if it's a good place for it. Thanks for the ellipse equation. I think I'm just going to program in the ellipse function for fun and see how it looks. Now that I think about it, I don't think it's possible to express the equation of an ellipse as just a function of one variable so I'll use the equation you gave. The one thing I'm concerned about is that the icons may bunch up at the pointed ends of the ellipse but I'll see how it looks. As for the problem with Visual C# 2008 SP1, I installed downloaded that or .Net 3.5 SP1 on my computer since they just came out last month. I do have the download on my computer though but I can't explain why it would freeze up on you like that running the code. I assume you are using the Express version of C#. When you opened the source code for Circle Dock, did Visual C# tell you that it needs to convert it to a new file format? It might have changed the instruction to compile the code as an x64 instead of as x86, which would cause it to crash on a 64-bit machine. The Express editions of Visual Studio don't make it clear that they do that by default and it can mess up a lot of programs. Thx for the updated Alpha, been using it since yesterday, no bugs to report. Using at work on a HP DC7700 (Core2Duo 2GB ram, XP SP3) and it's smooth as silk. Thank you very much! Now I have a good idea of what I have been doing wrong and I will sort it now! Cheers! Just thought I'd share my Red Vista orb. I made one since I have an XPS m1330 that has a Product Red theme on it. Another issue, though I'm not sure if this is workable to get around: if I have the taskbar set on auto-hide, then whenever I click the center button to call the start menu, CD seems to have to wait for the taskbar to slide back into view. This makes it take about a second to appear, and in fact sometimes does not even work (the taskbar will unhide, but no start menu will appear) unless I have made the regular start menu appear recently. Any idea if there is a fix for either of these issues? This is related to how CD gets the start menu to show up. I still haven't found any code that reliably calls up the start menu like in regular docklets since none of the code is published. I downloaded CD 0.0.2 Alpha 8 yesterday, love it! I was wondering, is there a way to make the dock icons zoom out then the mouse hovers over them (like on RocketDock or ObjectDock)? I have found a bug in the new release, hopefully it can be fixed soon. When I position the dock in the lower left corner of my screen, so the center icon looks like the start orb, and I click the center icon to open start menu, as soon as I move my mouse, the menu disappears, and I am unable to use it. Actually, I just noticed, if I set it to toggle anywhere on bottom of screen the problem continues. Anywhere about 3/4 of the way down my screen. 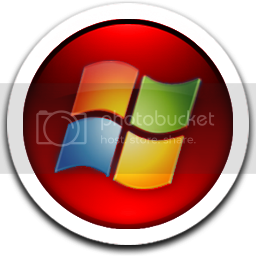 I'm running Windows Vista Home Premium SP1. Not currently. I'm working on Alpha 9, which is focused on giving Circle Dock better performance and more animation so I expect to get that working for it.